Delta Locksmith in Houston and their network of licensed affiliates are happy to help with all your lockout solutions. That includes times when you need car trunk unlocking solutions. You see, no one knows when they’ll have a car lockout issue that needs to be resolved quickly and efficiently. Who knows what valuable thing you may have locked in your trunk that you need immediate access to? (Maybe it’s groceries and there’s a gallon of milk in there you can’t afford to just leave.) For whatever reason, you need your car trunk unlocked. The good news is that Delta Locksmith has the expert experience you need to get your trunk unlocked immediately. There are a host of other lockout issues you might be facing though. However, you don’t have to worry about any of those issues either. You see, we truly care about the local Houston community and because of that, we ensure that customer satisfaction is guaranteed! Just look at all the services we offer! We and our licensed affiliates don’t just offer car lockout solutions. Car trunk unlocking services are literally just the tip of the iceberg! You see, we also offer residential locksmith services. Whenever you find that you need a new set of house keys, or your home’s locks need to be re-keyed or entirely replaced, we have the professionals that can get the job done when you need it! The reason you can take advantage of our services whenever you need them is simple. We and our network of affiliates operate on a 24-hour basis so that all your locksmith issues can be resolved at any hour of the day or night. 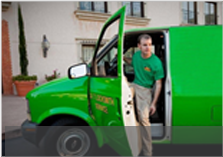 Moreover, we ensure that someone can be out to your location, no matter where you live in the Houston area. We recommend you give us a call and get a free quote!